Global Operating and Senior Management Executive with a successful record improving sales and profit performance.A proven leader with anability to quickly identify key problem areas impacting performance and develop winning strategies to eliminate waste, improve operational efficiency, reduce cost and increase profits.Strong strategic planning, business development, and organization alignment skills driving growth and accountability. I want to lead your business to new heights by aligning your organization for success and installing best-in-class processes to drive substantial sales and profit growth. Recruited to lead the start-up of an international joint venture company created to provide program management services, operations, maintenance, training and technical services related to aviation, communications, and surveillance and security systems in the Kingdom of Saudi Arabia. · Qualified a $1.6B new business pipeline from a $4.2B addressable market. · Developed a five-year Integrated Strategy and Business Plan to achieve a 269% ROI. · Introduced the business to key commercial and government customers and established strategic partnerships within the Kingdom of Saudi Arabia while serving as primary liaison between the company, key Saudi government agencies and various business organizations within the KSA. · Planned, organized and led multi-national board meetings on three continents. Engaged to turn-around a privately held logistics and information technology services company experiencing operational performance issues and declining sales and profits. ·Created a $300M+ new business pipeline, captured $60+M new business in first year and eliminated >$9M annualized indirect cost. ·Enhanced development and expanded system deployment & training services for SAMS-E, the Army’s global maintenance and supply chain management tool for ground vehicles and support equipment. 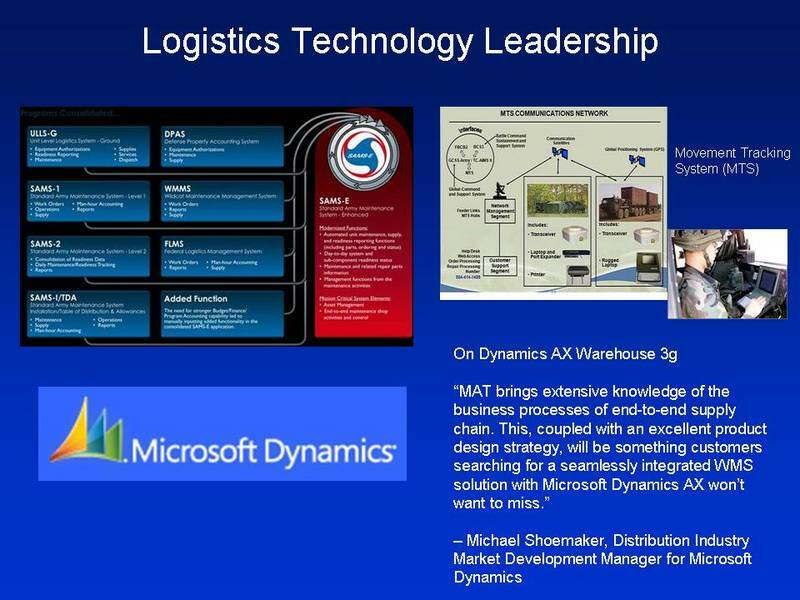 ·Solidified a strategic partnership with Microsoft and successfully rolled-out a new supply chain management solution embedded within the Microsoft Dynamics AX ERP suite. ·Acquired minority interest in a small business to fund and facilitate development of a FPGA based cyber security tool for use in environments where weight and power are critical limitations. oSuccessfully demonstrated the product installed on a Raven UAV at JEFX10 providing video stabilization, data compression, data encryption and “on-the-fly” remote reconfigurability. ·Installed new leadership, implemented a customer-focused organization and developed new processes resulting in ISO 9001-2000 certification. CMMI Level 3 certification. Independent consultant/advisor to businesses and privately held investment and management holding companies in aerospace/defense manufacturing, logistics, and aftermarket support.Expertise in operations improvement, organizational alignment, market analysis, strategic planning, business case analysis, due diligence, business development, and capture/proposal management. Assisted a private equity funded domestic client with market research and strategic planning for business expansion leading to +30% year over year growth and the subsequent sale of the business achieving exceptional ROI for the principals and private equity investors. Performed MRO, Supply Chain Management, and organizational consulting services for an international client experiencing performance challenges.Recommended improvements facilitated the successful re-compete of a major contract and capture of $50M in new business. Recruited to lead integration and sales/profit growth of four businesses into one of two operating groups for a $420M diversified manufacturer, systems integrator and technology services provider. Led multi-site operations in Alabama, Florida, Georgia, Texas and Utah providing component, platform, and software upgrade and sustainment solutions.Positioned business for sale and served as key leader in post-acquisition business integration.ISO9001/AS9100/CMMI Level III. ·Capitalizing on synergistic capabilities and back office process consolidation, successfully integrated three acquired small businesses – Manufacturing Technology, Inc.,Aircraft Integration Corporation and OnBoard Software Engineering – with a legacy engineering services business, generating over $5M in annual overhead savings and contributing to a +22% increase in profit margins. ·Captured 10-year contract valued at $1B, achieved 17% year over year growth in the systems integration market and 12% growth in engineering services. ·Opened a new 60k ft2 production facility in Alabama to perform OEM completions for Sikorsky Blackhawk helicopters.Successfully installed “Armed Helo” modifications for USN end-users. ·Air Force Special Operations Command (AFSOC) contractor of choice to perform systems integration and quick reaction modifications to meet urgent mission requirements for Combat Talon II, AC-130 Gunship, and CV-22 aircraft. oDeveloped hardware & software for an F-16 Commercial Fire Control Computer (CFCC) leading to a follow-on manufacturing/production contract. oDeveloped a universal Ground Control System (GCS) for Unmanned Aerial Vehicles (UAV). oIn collaboration with Rockwell Collins developed a Carry-on Situation Awareness System (COSAS) for use on AFSOC aircraft. ·Under contract to the USAF, developed enhancements and form, fit, function replacements for the F-15 Air Navigation Multiple Indicator (ANMI, radar display) and F-15 Flat Panel Control Indicator (FPCI, INS/GPS cockpit controller). ·Enhanced DMSMS/Obsolescence management database (AVCOM) and proprietary software as a service decision tools to expand to new customers and new markets. Promoted by this leading technology company to guide the consolidation of two businesses and a JV company into a global enterprise with annual revenue > $600M.Tasked to improve operational performance and eliminate excess cost associated with several struggling aircraft systems integration, modification and depot maintenance programs. Operational responsibility for +800k ft2 manufacturing & MRO facility. Principal Officer for Lockheed Martin Aircraft Services International, Lockheed Martin Middle East Services, Lockheed Martin Logistics Management and Lockheed Martin Logistics Services. ·Restructured organization, consolidated resources and reduced production and warehouse footprint to eliminate >$9.5M in overhead expense. ·Leveraged internal capabilities to create a $100M supply chain services business. ·Captured 10-year, $750M supply chain contract. ·Rescued the C-5 Avionics Modernization Program (AMP) kitting and installation project that was struggling with excessive cost overruns and in jeopardy of impacting delivery performance and overall program continuation. oDeployed appropriate resources to ensure on-time delivery of the first and all subsequent aircraft. oInstalled new program leadership, implemented effective planning and project controls, and developed streamlined installation and supply chain management processes to reduce cycle time and cost ultimately reversing cost overruns and realizing a budget surplus. ·Dramatically improved P-3 Phased Depot Maintenance (PDM) and Structural Modification Installation Program (SMIP) operational and financial performance by creating a customer focused, program-centric organization, realigning plant layout, and implementing lean process flows to achieve > 40% reduction in cycle time and cost. ·Breathed new life into a failing systems integration and modification program for Gulfstream G-550 aircraft experiencing a 100% cost overrun and more than one-year behind schedule.Got the program on-track, restored customer relationships, and recovered millions in financial write-offs resulting in the successful delivery of Special Electronic Mission Aircraft (SEMA) to the Israeli Air Force. 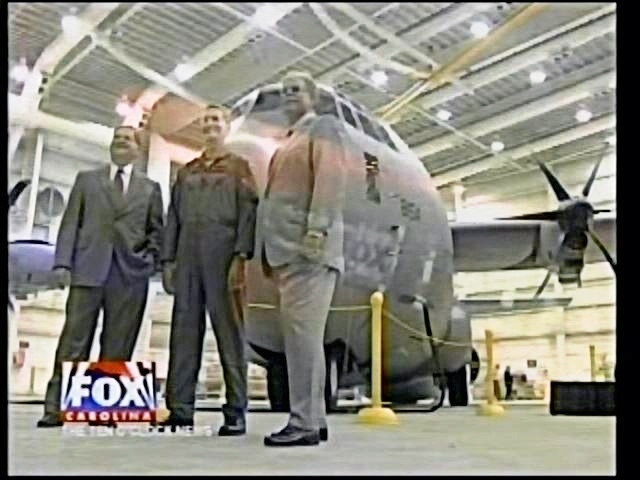 ·Restored customer confidence and mitigated financial losses by successfully completing and closing out several troubled programs such as the Pakistan C-130 Overhaul and Modernization Program and USAF C-130 Combat Search and Rescue (CSAR). ·Expanded business base to win external manufacturing, MRO, and logistics support contracts yielding over 20% ROS. Projects included USAF C-130 Unscheduled Depot Level Maintenance (UDLM), USAF F-16 On Board Oxygen Generating System (OBOGS), Oman F-16 Contractor Logistics Support (CLS), Philippine C-130 Programmed Depot Maintenance, et al. ·Selected by the US Navy to provide Lean/Sigma training to senior leadership within the Naval Air Systems Command (NAVAIR) and consulting services for Lean/Sigma process implementation at Navy Depot facilities. Recruited to consolidate and reverse three declining business units with $305M combined revenue. ·Developed strategy, installed new processes and customer focused leadership to achieve 120% revenue growth and a+50% EBIT increase in one year for field technical services and a 4-year CAGR of >50% for supply chain services. 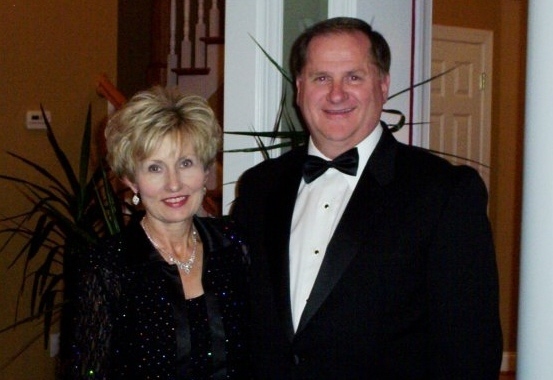 ·Created and served as Founding Chairman of Defense Support Services (DS2) a $450M+ joint venture with >7000 employees at more that 100 locations worldwide that realized a 35% CAGR and $15M incremental profit for Lockheed Martin. ·Captured three component/equipment manufacturing and MRO contracts employing 1,800 people at multiple sites in the U. S. and Europe.Projects included component electronic manufacturing and MRO at Tobyhanna Army Depot, overhaul and reset of US Army Europe (USAREUR) wheeled and tracked vehicles, and overhaul and reset of rotary wing aircraft at Hunter Army Airfield. ·Awarded contract to provide training and implement Lean maintenance and supply chain management processes for a Portuguese aircraft maintenance and modification services provider. Appointed by the President of the $4B Boeing Support group to consolidate numerous manufacturing,assembly, engineering, and logistics support activities into a single, integrated +$300M business unit. ·Developed strategy and implemented a tactical plan that added $65M revenue annually. ·Applied integrated resources to win a major contract to install modifications to over 400 aircraft. ·Led development of an overhaul concept for KC-135E engine struts.Presented concept to the System Program Office (SPO) and was subsequently contracted to develop a statement of work and design a prototype set of tooling for a future overhaul contract. 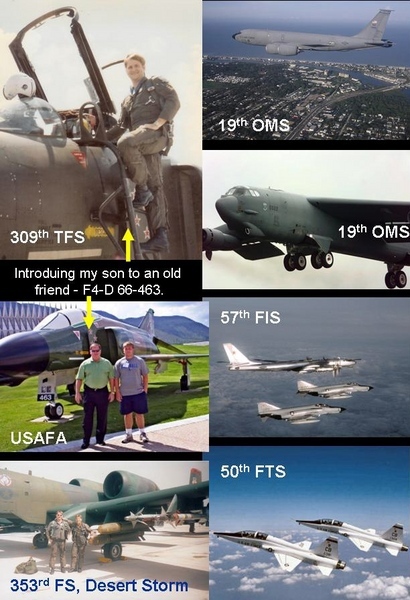 ·Tasked by the KC-135 SPO to lead a Value Stream Mapping initiative for KC-135 landing gear that vastly improved landing gear availability to all depot sources of repair and field units. ·Implementation of best-in-class processes garnered the 2002 Texas Quality Award and the 2003 Malcolm Baldrige National Quality Award. Recruited as a change agent to redirect an operationally and financially troubled $1.5B MRO and equipment upgrade/modification contract.Led staff of 1,000 with direct reports including production operations, QA, materials management, production control and engineering. ·Installed lean manufacturing processes and an integrated ERP system which increased throughput +300%, slashed customer reported defects by 85%, and reduced production cost by 43%. ·Led contract restructuring initiatives that increased annual revenue $150M and profit by +$50M. ·Developed and executed two major sub-contracts valued at $100M annually. 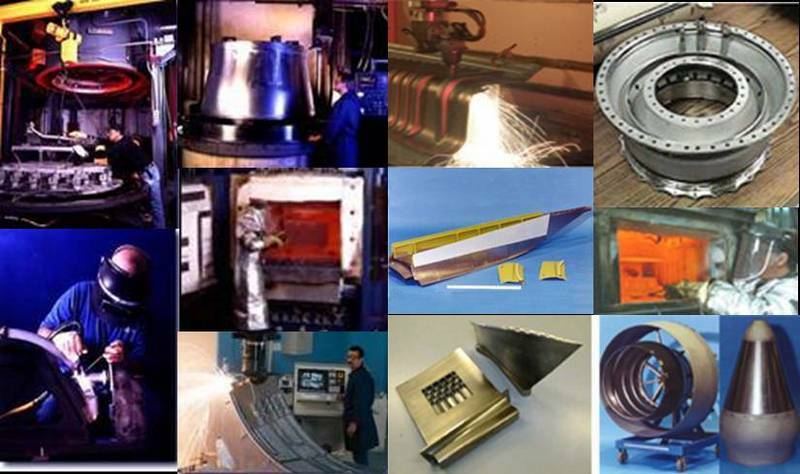 Recruited to turn around an exotic metal aerospace manufacturing business experiencing unacceptable quality and delivery performance and to improve customer relations/satisfaction. ·Implemented an ISO 9000 quality management system and Enterprise Resource Planning (ERP) system that resulted in vastly improved delivery performance and >99% quality with major customers. oOrganization selected in the initial cadre for the GE Six Sigma Supplier Black Belt Program.One of two suppliers selected to brief project to Jack Welch, legendary GE Chairman & CEO. ·Restructured and re-staffed the sales department to increase customer focus.Increased order bookings by 24% the first year and negotiated win/win long-term agreements with major customers.Sales per employee increased 23%. ·Organized manufacturing into business units to improve management accountability and implemented a Lean Manufacturing philosophy using Kaizen, Kanban, and Six Sigma tools.Reduced net inventory 78%, slashed capital cost 40%, cut direct labor cost 28%, operating expenses 23%, and material cost 16%.Cut manufacturing cycle time more than 20%. ·Through intelligent asset management, generated >$1.0M in excess cash above plan. ·Converted a standard cost accounting system from a labor hour system to a machine hour system providing better visibility to, and more equitable distribution of, cost elements.This increased visibility, combined with the systemic improvements described above, were instrumental in growing Division performance profit 88% in two years and helping Barnes Aerospace achieve 30% revenue and 28% profit growth. Led the largest of three operating groups for a $130M company.P&L responsibility for selected business operations at one European and two domestic manufacturing, maintenance, repair, and overhaul (MRO) facilities.Operational responsibility for a 1,200 employee, 1.75M ft2 manufacturing facility and FAA Part 145 Repair Station – the largest such facility in North America. ·Responsible for company and customer assets valued in excess of $2.1B.Contract backlog >$300M and operating budget in excess of $80M.Helped secure $20M revolving credit facility. ·Captured $33M in contract claims and achieved $12M in incremental annual revenue by negotiating the restructure of a key contract. ·Achieved bottom line improvement of $15M in one year. Led union contract negotiations with the UAW that restructured and reduced job classifications from 63 to 26 with resulting efficiencies that increased revenue per direct employee by 20%.Turnaround time and man-hours were reduced 28% and 30%, respectively. 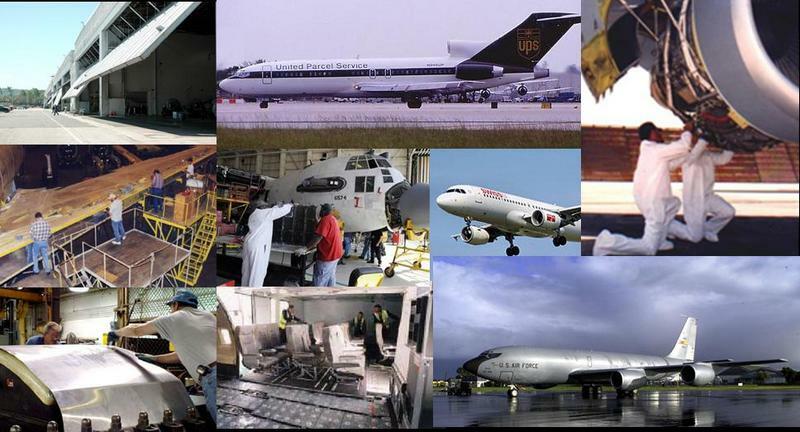 ·Established a team that designed and subsequently converted UPS B727 freighters to a quick-change (QC) configuration providing increased asset utilization by allowing them to carry passengers.From design through certification the project was completed in nine months. Established and led a department consisting of Sales and Marketing, Program Development, Estimating, Proposal Development, Contract Administration and Reprographic Services.Planned and managed a $1.3M departmental budget. ·Expanded customer base to include non-DoD customers such as the FAA, NASA, Customs Service, et al., and – via teaming relationships and a network of international representatives – to foreign customers in South America, Europe, Asia, Africa, and the Middle East. ·Captured $200M of new foreign and domestic business. Operational responsibility for a maintenance facility that processed 80 aircraft annually.Operations included the removal and application of conventional solvent-based and high-volume low VOC coatings on fighter-type aircraft, chemical cleaning, acid etch, alodine application, and repair of corrosion damage.Coating removal was accomplished using chemical as well as acrylic plastic media. ·Inherited a project experiencing staggering financial losses with a charter to reverse unacceptable performance.Implemented a top-to-bottom review of processes, personnel and plant capacity.Operations were restructured, processes and personnel improved, and profitability was achieved in five months. ·Implemented the first-ever plastic media recycling program that was subsequently adopted throughout industry.Converted coating application process from conventional spray equipment to HVLP and/or electro-static equipment.Rework, hazardous waste generation, and associated costs were significantly reduced. ·Managed over 4,000 square miles of FAA-controlled airspace in the National Airspace System.Directed airfield activity at a joint-use civil/military airport.Primary liaision with the FAA and other public agencies concerning military aircraft operations. ·Hand-picked at the onset of Operation Desert Shield to lead a team of operations and maintenance personnel into a bare base ahead of deploying aircraft to recover and regenerate the aircraft, set up operations, and secure/establish housing facilities for personnel.Key leader in base development planning and execution which included coordination with host country leaders for establishment of local area airfield and airspace operating procedures; planning, directing and controlling combat flying and ground operations and maintenance.In a matter of months, the base became the largest airbase in the Persion Gulf theatre of operations supporting over 200 aircraftand 35,000 personnel.Led 38 combat missions during the 42-day Desert Storm operation. ·Senior Operations Manager in a 5,000 member organization.Developed and managed flying and simulator training programs for 350 student pilots, 135 trainer aircraft, and 16 flight simulators supported by an $80+ million annual budget.Served as primary liaison between operations and contract maintenance. ·Tapped to be the Operations Project Manager for a major weapon system upgrade to improve air defense capabilities of a strategically important NATO base.Responsibilities included management of all operations and maintenance issues relative to transitioning the unit from the operation of F-4E aircraft to F-15C aircraft.The project received the highest visibility within DoD due to NATO defense commitments with the host nation that required combat readiness be maintained throughout the process. ·Directed the activities of over 900 technicians and managers manufacturing components and performing repairs on avionics, airframe, propulsion, and ancillary equipment organic to an Air Force tactical organization. ·Supervised 240 aircraft mechanics performing maintenance, inspection, and servicing on a fleet of B-52 and KC-135 aircraft.Organization was recognized as Best in Command for two consecutive years and received two consecutive Air Force Outstanding Unit Awards.